While the public has a hard time watching cops being brutally attacked on film and even dying, it’s important they understand the risk and horror the work can mean. Watch the officers who survived brutal attacks and talk about their choice to remain in law enforcement and continue serving and protecting the people of Dade County’s community. You will be moved to tears as Dade County’s Police Director Jim Loftus gives a memorable speech at the memorial service of two fallen officers – Officers Roger Castillo and Amanda Haworth. More reasons to get off Facebook. NOW! 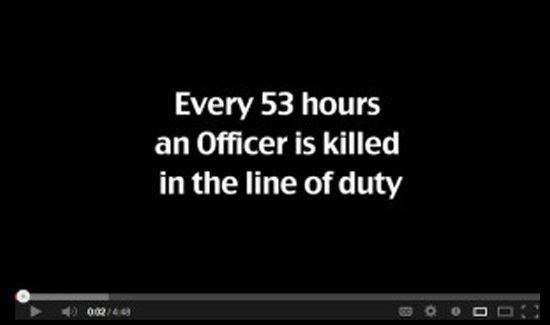 The Officer killed every 55 hours is misleading……….even one officer killed is a too many but but your headline is inflamatory.